Madame Renata is one of the 999 ghoulish inhabitants of the Haunted Mansion. The niece of Master Gracey, and sister to Madame Carlotta, Madame Renata likes to hang around outside the Mansion around Halloween time, regaling unsuspecting passers by with her deathly funny, if not morbid tales of life and death. 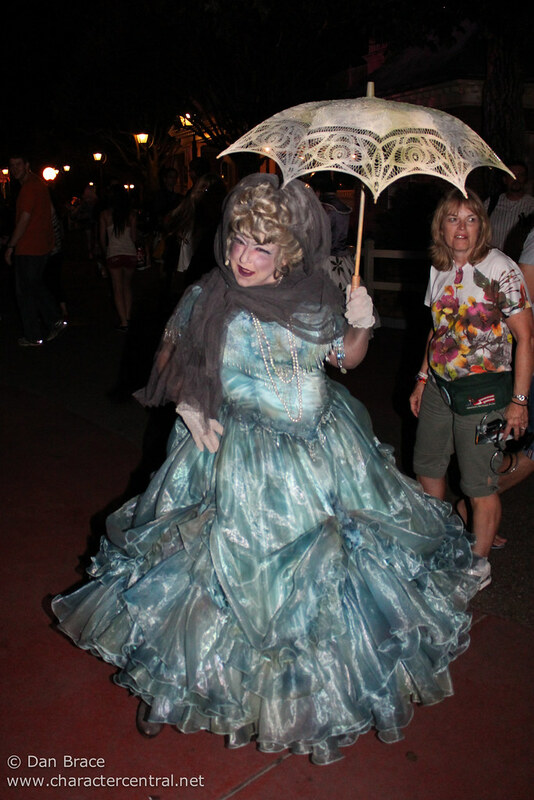 Madame Renata appears during the Magic Kingdom's Halloween Parties purely to entertain guests at the Haunted Mansion, and does not meet her fans. You can however ask really nicely and she might stop talking for a quick picture.